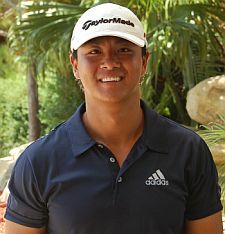 PLANTATION, Fla. – Sunny Kim of Queens, NY, is at it again, winning his second straight tournament on the Minor League Golf Tour Monday on the West course at Jacaranda Golf Club. Kim scored an eight under par 64 with eagles at the par-5 fifth and ninth holes on the front and birdies at Nos. 12, 13, 14 and 17 on the back. Kim won three straight events in July and four in a row in September, 2012. The MLGT career record is five consecutive victories by Jimmy Jones in 2004, the inaugural season. Kim received $625 from the $2,675 purse and an additional $130 in the skins game, raising his career earnings to $226,816 since he joined the MLGT in October, 2006. He has won 55 tournaments. Michael Midgette of Plainview, NY, was second Monday among 22 starters, scoring 66 with six birdies. He collected $693.34 including $500 from the main purse, $150 from an optional bonus pool and $43.34 from the skins game. 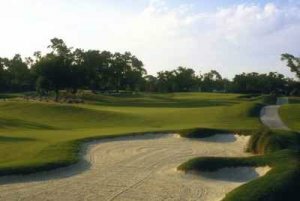 Next on the MLGT schedule: Thursday at Monarch CC and Friday at Hobe Sound GC, both in Martin County. The final Qualifying School Contest of 2018 is just 17 days away! It will be a 36 hole event Wednesday and Thursday September 12-13 at Jupiter Country Club. The entry fee for the 2-day event is $390 with 40% of the field earning a check with an optional $200 Qualifying School Contest presented by Joey D Golf and ClubCraft where the low score will win $4,500 (guaranteed) to put towards the Q-School entry of their choice. You can play in this event if you are already signed up for Q-School. The 1st place prize of $4,500 is a reimbursement once you start Q-School. Any questions please call Tournament Director Scott Turner at 561-598-9630.